This is an ex-library book and may have the usual library/used-book markings inside. This book has soft covers. In good all round condition., 400grams, ISBN: 9780192854254. Very Good. 320 p. This is a book about the big questions in life: knowledge, consciousness, fate, God, truth, goodness, justice. It is for anyone who thinks there are big questions lurking out there, but does not know how to approach them. 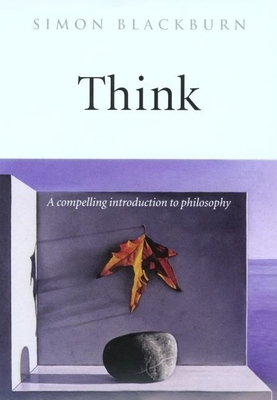 Written by the author of the bestselling Oxford Dictionary of Philosophy, Think sets out to explain what they are and why they are important.